Group members Dr Sarah Bath and Professor Margaret Rayman published their study of iodine concentration in milk-alternative drinks in the British Journal of Nutrition. This was widely covered in the UK press (see below) and they also wrote an article for The Conversation. 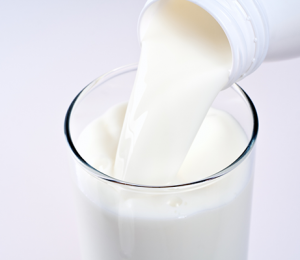 Psychology Today: Got Milk Alternatives? 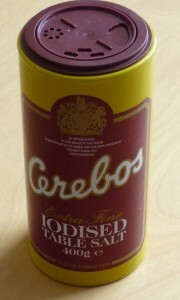 Get More Iodine! Our group member, Professor Margaret Rayman, gave the Annual Dairy Council Nutrition Lecture at Ulster University, Northern Ireland. The talk was on “The importance of iodine in the UK diet: relevance of milk and dairy products”. The Irish News has reported on this event – however, please note that cranberries are not rich in iodine! The Belfast Telegraph has also covered the lecture. 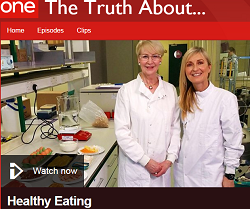 Iodine was featured in the BBC One programme “The Truth About Health Eating”. Professor Margaret Rayman, UK Iodine Group member, was interviewed in relation to the importance of milk and dairy products for adequate iodine intake. She highlighted that milk-replacement drinks (such as soya and rice drinks) have a low iodine concentration in relation to cows’ milk. 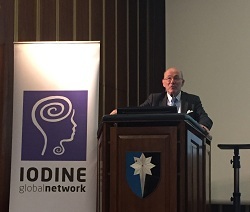 A report has now been published on the symposium that was held in London on Iodine in Pregnancy (March 2016). Several members of the UK Iodine Group presented at that meeting, including Professor John Lazarus, Dr Mark Vanderpump, Professor Margaret Rayman, Professor Kate Jolly, Mr Michael Marsh, and Dr Sarah Bath. Click to read the full report. In February, a review found that organic milk had a lower iodine concentration than conventional milk. 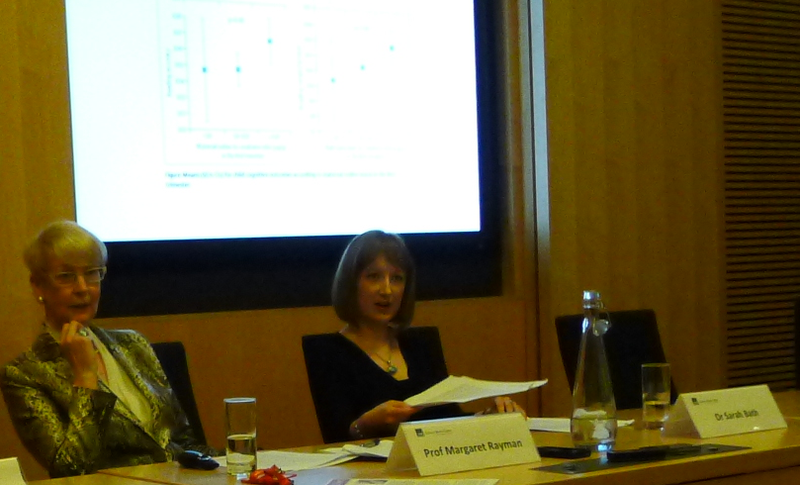 Professor Margaret Rayman and Dr Sarah Bath were invited to write a comment on the implications of this finding. Their comment, published in the British Journal of Nutrition, can be found here. A study published today has reviewed the evidence for the nutritional difference between organic and non-organic milk. It found that the iodine concentration was lower in organic milk; non-organic milk was 74% higher in iodine. There has been a lot of media coverage of the study but it has focussed on the the higher omega-3 fatty content of organic milk and very little attention has been given to the lower iodine concentration in organic milk. For a full review of the implications of the finding, read our blog. An article on iodine deficiency in the UK was published in the Guardian this week (7th December 2015). UK Iodine members (Professor John Lazarus and Dr Sarah Bath) were interviewed by Becky McCall, the medical journalist, who wrote the article. In it she refers to the iodine situation in UK and notes the important research conducted by UK Iodine Group members in relation to the adverse effects of maternal iodine deficiency and subsequent school performance of their children. The article discusses ways to ensure adequate intake (including whether supplements should be taken by pregnant women). More information can be found here. UK Iodine Group member, Professor Margaret Rayman was quoted in a recent Sunday Times article (1 November 2015). It is important to be aware that it is easy to take in an excessive amount of iodine through eating seaweed, particularly if it is one of the brown seaweeds like kelp or kombu. Kelp supplements have highly variable iodine content with most UK kelp supplements providing more than the content declared on the label. It is very important to avoid excessive iodine as this can damage the thyroid causing under- and over-active thyroid disease. There is information and advice about seaweed consumption and excessive iodine intake in our factsheet. Some studies have found that eating high amounts of seaweed eating can lead to underactive thyroid disease (hypothyroidism), including hypothyroidism in new-borns if the mother ate excessive seaweed during pregnancy. Other studies have linked high seaweed intake to over-active thyroid disease (hyperthyroidism) and thyroid cancer. For example, a large Japanese study found that in women after the menopause there was a greater risk of thyroid cancer in those who consumed seaweed almost daily than those who consumed it twice a week or less. Kelp and seaweed supplements are not recommended during pregnancy. The Food Standards Agency of Australia and New Zealand advises pregnant and lactating women and children not to eat more than one meal per week containing brown seaweed. A study by UK Iodine Group member, Dr Emilie Combet, has found that in 90% of cases, the iodine content of seaweed supplements and products in the UK is not stated on the label. Over 10% of the products on the market could lead to excessive iodine intake. Research led by UK Iodine Group member, Dr Emilie Combet, has found that pregnant mothers are unaware of the importance of iodine. The study of over 1000 mothers, published in the British Journal of Nutrition, found that 84% were not aware that iodine was important during pregnancy and over half (56%) could not correctly identify iodine-rich foods. 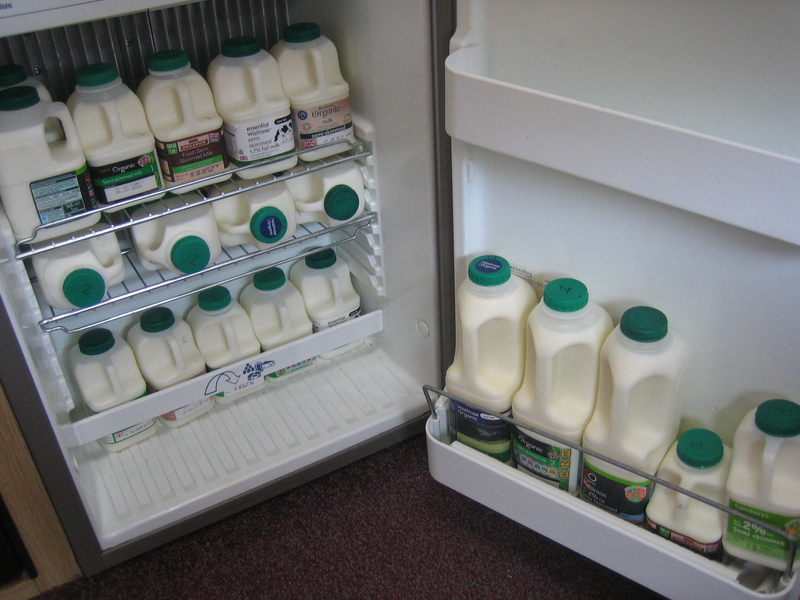 A study by the University of Reading, published in the journal Food Chemistry, has found that winter organic milk UHT milk has an iodine concentration that is up to 35% lower than winter conventional milk. They also found that UHT milk was lower (around 30%) than conventional milk. This study supports the findings of the 2012 study by group members Dr Bath and Professor Rayman, who found organic milk had a 42% lower iodine concentration than conventional milk in summer samples. The study received widespread media coverage, as the headlines linked the finding to risk of low IQ in offspring of pregnant women who consume organic milk, even though the study had no measures of iodine status, or cognitive function. Group members Professor Rayman and Dr Bath provided expert comments to the Science Media Centre. The comments by Dr Bath were picked up by the Daily Mail, Telegraph and the Guardian newspapers. Professor Rayman and Dr Bath at the press conference for their Lancet study. Independent “Mothers’ diets may harm IQs in two-thirds of babies”. This was on the front page of the print edition. The Daily Mail “Women who drink organic milk in pregnancy could be harming their baby’s IQ”.